The speech had an overall positive message after a divisive election campaign. 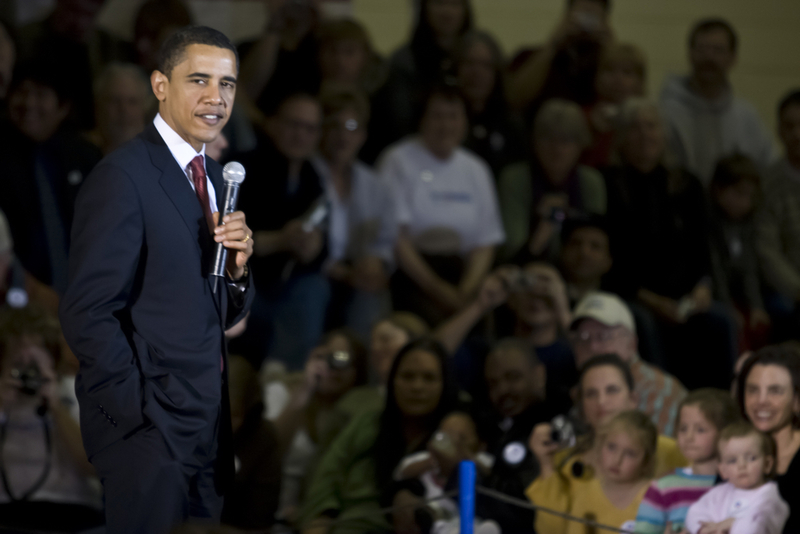 7 March, 2008: Barack Obama speaking at a campaign ralley at a high school in Casper, Wyoming. While addressing the American public in his farewell speech in Chicago, the outgoing President Barack Obama said that Democracy needs you. Obama, the first black president, now 55, won presidency eight years ago with his message of hope and change. His successor, Donald Trump has vowed to reverse some of the signature Obama policies. Mr. Obama brushed aside squawky chants of “four more years” by the crowd, saying that “I can’t do that” with a smile. The constitution restricts the President to a maximum of two terms only. When the prospect of Mr. Trump replacing him was booed by the crowd, Obama struck an upbeat tone and said that “No, no, no, no, no,” the peaceful transfer of power was a “hallmark” of American democracy. The speech had an overall positive message after a divisive election campaign. Mr. Obama said that young Americans who believe in “just, fair and inclusive America” make him feel more optimistic about the country than he was when he started in 2008. The farewell at McCormick Place was attended by some 18,000 people. The largest convention center in North America is the same venue where Mr. Obama delivered his victory speech after defeating Mitt Romney in 2012. According to an AP-NORC Center for Public Affairs Research poll, President Obama leaves the Oval Office with an approval rating of 57% of Americans, a figure close to Bill Clinton when he left office.